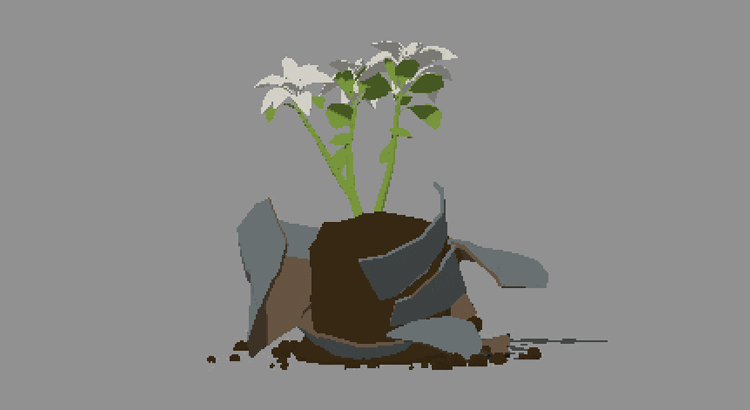 I started off putting a few bits and pieces together in my 3d package; there’s a keyframe-animated flower, a pot with a simulated shatter effect and a particle system with 1000 rigidbodies for soil. A couple of things have to be addressed before recreating this in Unity. 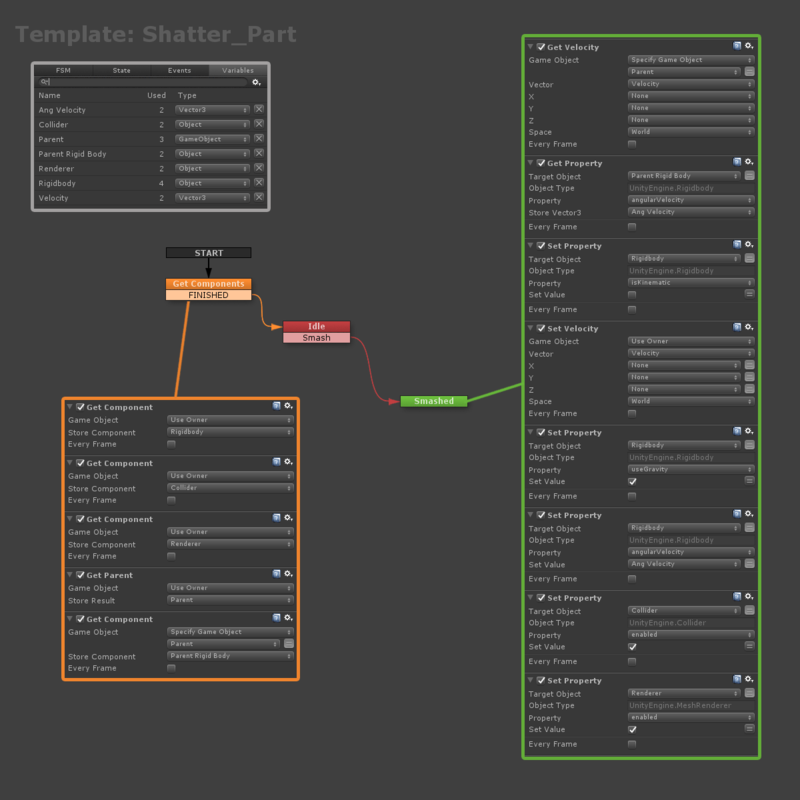 Firstly the shatter effect, in this particular instance I was able to bake the animation into each separate piece of pot, I could run the simulation several times until I was happy and then export the pieces with standard animation clips that Unity would understand. For the soil I used the interior of the pot as an emitter and just increased the number of particles to create a solid looking mass. I then used Polygonizer to “skin” the particles and created several frozen meshes at key times from which I could create blend shapes. 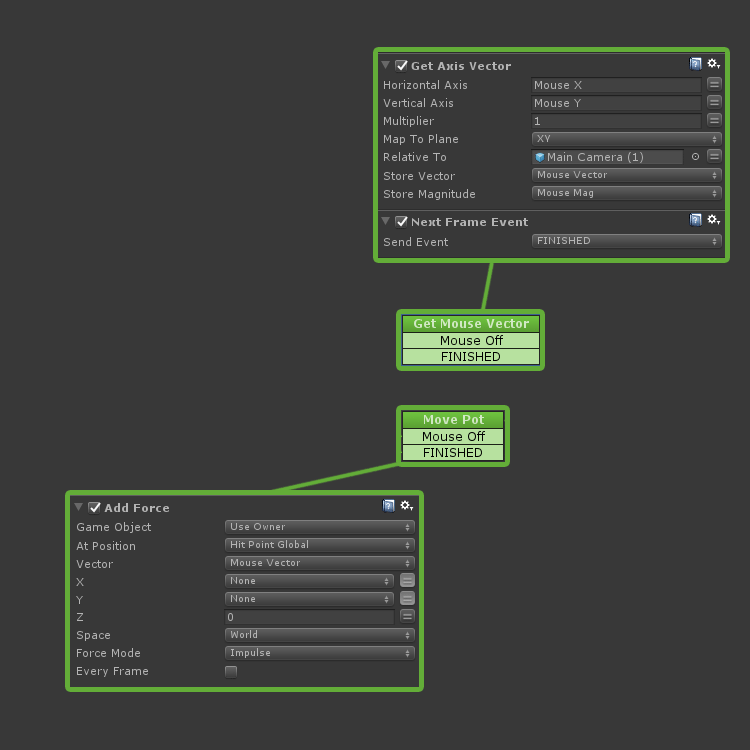 This meant I could use a fraction of the number of particles in Unity, and use the blend shapes to fill in the space. 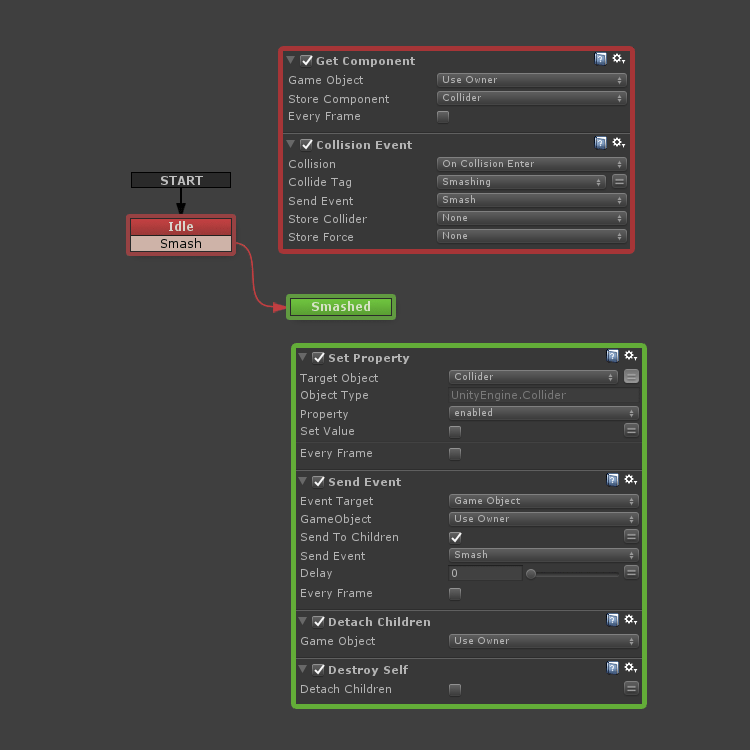 I’ve previously had some difficulty getting animation clips on multiple objects to sync up properly but Unity’s new timeline seems to work really well. I just dragged the various clips on and used the recorder to set key frames to hide/reveal different elements on cue and set the blend weights. As happy as I was with the baked animation, I also wanted to try something a bit more interactive that would respond to player input and react to the environment, so I decided to try and recreate the shatter simulation using Unity’s physics system. For simplicity I’ve set aside the pot’s contents for the moment to focus on just getting the broken pot working. 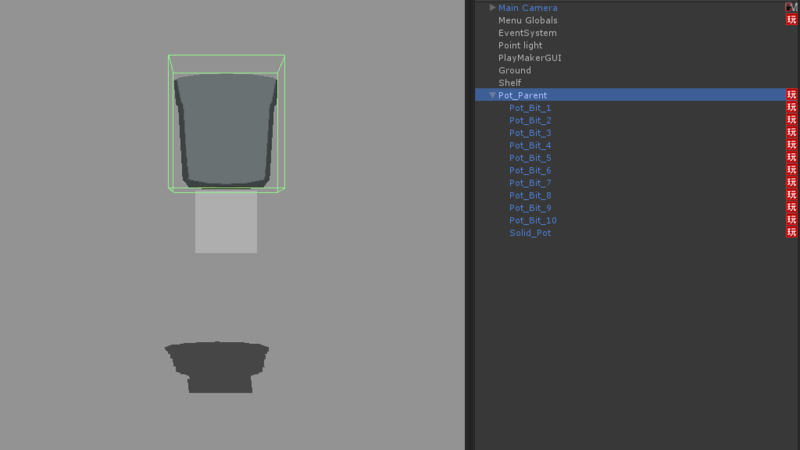 The Pot Parent is an empty object, set up with a collider and rigidbody components, the child objects are the original solid pot mesh and the multiple, pre-cracked pot-pieces I generated from that mesh, now without their animation clips. The first detects the mouse axis direction as a vector3 and applies this as a corresponding impulse force to its own rigidbody. The second detects a collision, sends a Smash event to all child objects, detaches them and then destroys itself. I’ve used a Collide Tag to limit collisions to specific objects, this means the Parent_Pot can happily sit on the shelf collider without immediately shattering. The Solid_Pot is just a mesh, it has no collider or rigidbody, it simply waits for a Smash event and destroys itself. Firstly, each part stores its own various components as variables; the rigidbody, the collider and the mesh-renderer, then the Pot Parent‘s. The parts then sit, invisibly, waiting for a Smash event. You can also follow along on Twitter and Tumblr for more regular updates.